One of three left-handed pitchers from the same city block in New Orleans to make it to the major leagues—the others being Howie Pollett and Larry Lasalle—Mel Parnell had a stellar ten-year career as a pitcher for the Boston Red Sox. Best remembered for the no-hitter he pitched against the Chicago White Sox in 1956, Parnell retired at the end of that season due to an elbow injury. With a career record of 123 wins and 75 losses, he won more games than any other left-hander in Red Sox history. Born in New Orleans on June 13, 1922, Mel Parnell attended S. J. Peters High School. After high school he was recruited by Red Sox farm system director Herb Pennock. He spent two years in the minor leagues (1941 and 1942), then joined the Army Air Corps during World War II. Three years of military service (1943–1945) found Parnell playing ball in Arkansas, Tennessee, and Alabama, where he played on many Southern Association clubs and other service teams. His club won the Eastern Flying Training Command championship. He was assigned as a crewman aboard B-29 aircraft while stationed at Maxwell Air Force Base in Alabama. Parnell played one more season in the minors in 1946 before making his major-league debut on April 20, 1947. After an undistinguished rookie season, he joined Boston’s starting rotation (along with fellow New Orleanian Jack Kramer) in 1948. He won fifteen games, lost eight, and recorded an earned run average of 3.14, helping the Red Sox to a second-place finish behind the Cleveland Indians. Parnell was an All-Star in 1949, his best season in the majors, winning a league-leading twenty-five games and losing only seven. He would return in 1951. He was very successful at home in Fenway Park, using his baffling inside slider to tame right-handed hitters. 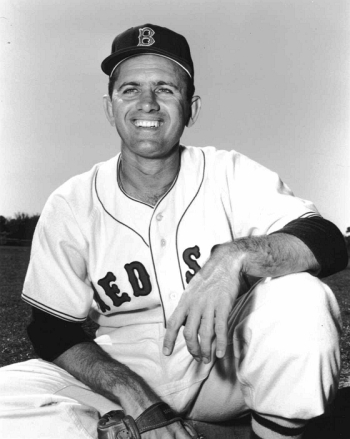 Although he spent his final three seasons (1954–1956) fighting a bad elbow, on July 14, 1956, Parnell pitched the first first no-hitter in more than thirty-three years for the Red Sox against the Chicago White Sox, winning 4–0. Just months later, however, a torn muscle in his throwing arm would end his career. Parnell returned to New Orleans to try his hand at managing, first as the head coach of the Tulane University team in 1958, then as the manager of the New Orleans Pelicans in what would become their final season in 1959. But not even Parnell’s considerable reputation or personal charm could breathe life into the dying franchise. Parnell remained in New Orleans, engaging in a number of successful business ventures and working as a broadcaster. He gave freely of his time: visiting with his baseball friends, making personal appearances, granting the occasional interview, and inspiring young left-handed pitchers everywhere. Parnell was inducted into the Louisiana Sports Hall of Fame in 1963 and the Boston Red Sox Hall of Fame in 1997. He died on March 20, 2012, in New Orleans after a long battle with cancer. The Norman Mayer ("Gentilly") Branch of the New Orleans Public Library, first opened on March 27, 1949. Demolished due to major flooding, it was rebuilt and re-opened March 20, 2012. Ronnie Barron (born Ronald Raymond Barrosse on October 9, 1943 in Algiers was known for his work as a session musician for many artists including Paul Butterfield, Canned Heat, Ry Cooder, Tom Waits, Eric Burdon & The Animals, Delaney & Bonnie and Friends, and New Orleans' own Dr. John (Mac Rebbenack. He played keyboards, organ, and sang. Barrosse passed away on March 20, 1997. On March 20, 1969, Douglas DC-3 N142D, leased from Avion Airways for a private charter, crashed on landing at New Orleans International Airport, killing 16 of the 27 passengers and crew on board. The aircraft was operating a domestic non-scheduled passenger flight from Memphis International Airport, Tennessee. George Clark was the 31st mayor of New Orleans, serving from March 20, 1866 until May 11, 1866. 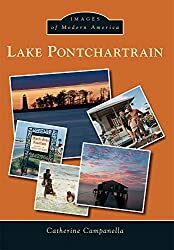 Act #203 of the Louisiana legislature, passed on March 20, 1850, provided for the biennial election of six men to serve along with the Mayor as a board for the liquidation of the debts of the city and of its constituent municipalities.